HomeDigital ComicsDark Horse Digital: Hellboy Sale! Dark Horse Digital: Hellboy Sale! It’s the Digital Store Weekend Sale! All single issueÂ HellboyÂ Comics from:Â Seed of Destruction, Wake the Devil, Almost Colossus and Box Full of EvilÂ are only $ .99 today, tomorrow and Sunday. Get to theÂ Digital StoreÂ now and don’t miss these origin tales ofÂ HELLBOY. This Summer, Hellboy Goes to War! 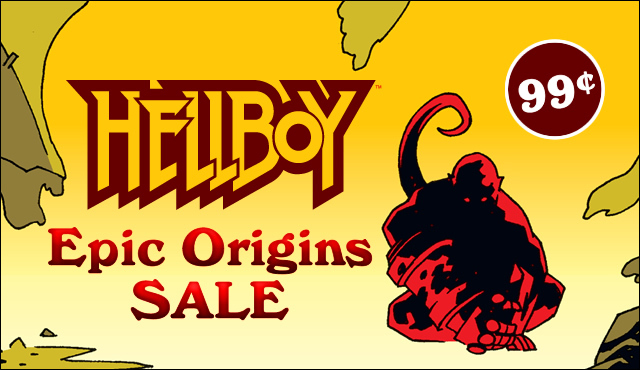 Also, Don’t forget you can getÂ 17 Hellboy Comics for $20 in this Hellboy MegaBundle!